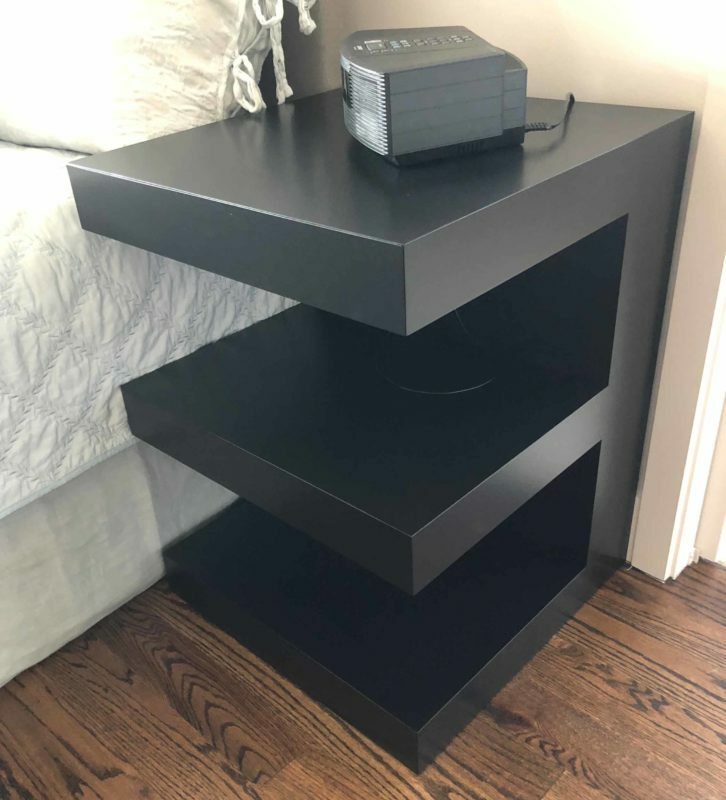 We designed and built this contemporary design bedside table. 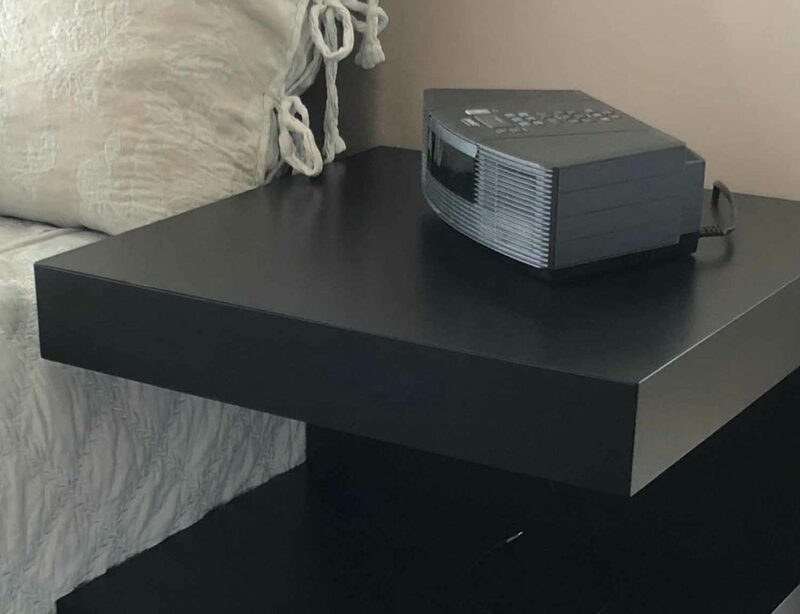 It is made of painted maple, and features an invisible mitered drawer. The backside of the nightstand has a hollow area for hiding electrical cords. It is built with very precise tolerances, and the finished, minimalist effect is nice. 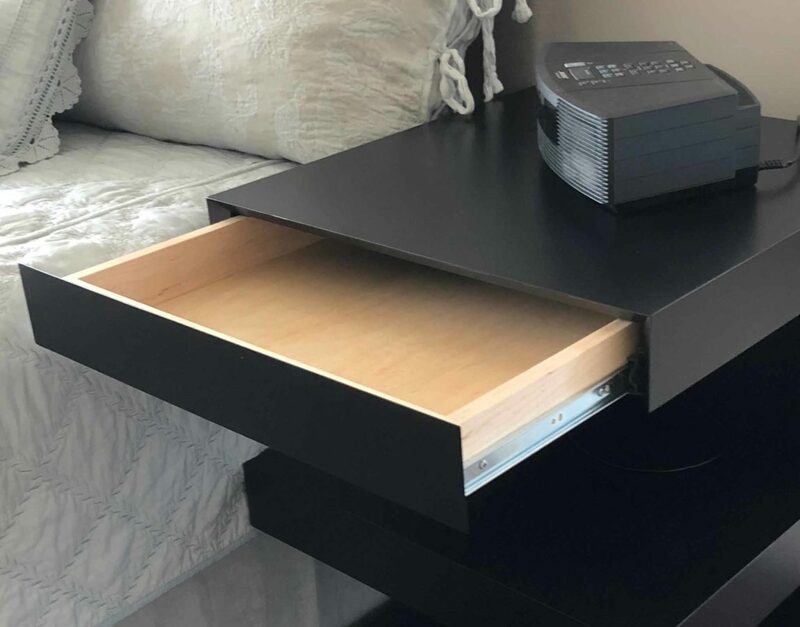 The surprise of opening the hidden drawer is very cool.